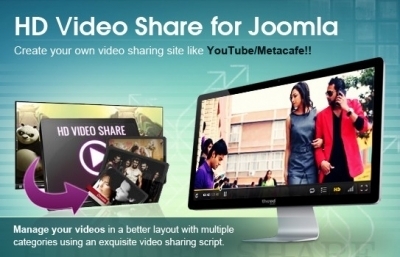 Joomla HD Video Share is a best solution for all kinds of video sharing websites to display high definition videos. This video player allows you to share videos on social networking sites with your friends. 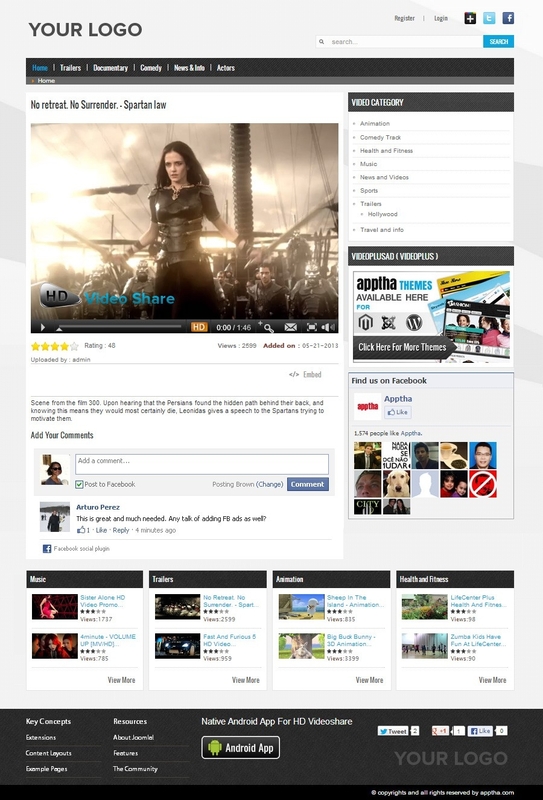 You can download or add videos from any third party video websites like Vimeo, YouTube etc. It provides 100% flexible and customizable options and also free ad-ons like Jomsocial, HVS komento system and K2 article item. Using this extension, you can create a video sharing website of your own styel in just a few minutes. The trial version of this extension is also available for a free download.Supports for all major browsers and compatible with Joomla 1.5, 1.6, 1.7, 2.5 and 3.1 versions. Highly compatible and responsive UI which works smoothly on all mobile devices. Blessed to play quality HD videos on mobile phones with HTML 5 support. Add titles and comments to your videos from right to left as this extension comes with RTL support. Allows you to stream live happenings through Lighttpd, RTMP, Live telecast and Amazon S3 Streaming and add videos from top video sharing websites like YouTube, Vimeo etc. 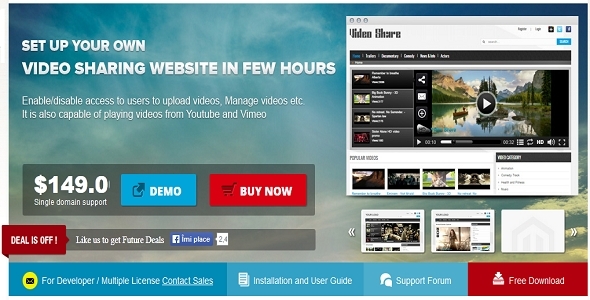 Additional Info: The HD Video Share Provide three major-Adons without cost.